Do you grind and clench your teeth at night while you sleep? If so, you could be suffering from bruxism, a condition which can cause aggressive teeth wear and damage to your jaw joints. Modern research has shown that up to half of Australian adults will have some type of teeth grinding, and around five percent of people are severely affected by bruxism. Needless to say, this clenching and grinding is not a healthy or normal action! In many cases, you may not even realise that you suffer from bruxism, since you will have no conscious control over bruxism, particularly when it occurs during your sleep. But if you experience tension-related headaches, painful teeth or jaw joints, or your sleep partner is woken or disturbed by the sound of your teeth grinding together, you should visit Apple Dental for a detailed examination. Your bruxism may be caused by psychological stress, anxiety or tension; abnormal teeth anatomy, such as ‘high spots’ on fillings; or abnormalities with your jaw joint (temporomandibular joint or ‘TMJ’). In extreme cases, regular bruxism can even cause damage to your teeth, problems with your jaw, facial pain, headaches and other serious side effects. 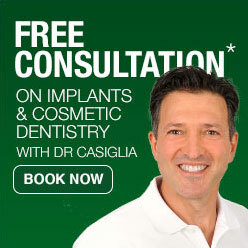 As part of your regular appointments at the Apple Dental Lane Cove practice, we will assess your mouth for any signs that you may have bruxism, such as teeth which have been chipped, fractured or flattened; tooth enamel which is so worn that your teeth’s deeper layers are exposed; damaged or missing dental restorations; or chewing damage to your cheeks and tongue. Prior to beginning your bruxism treatment we will take a detailed look at your medical history, including any dental or general health problems, medications you are taking, any allergies, and previous jaw surgery or treatment for bruxism. We then look for problems that may be causing abnormal contact among upper and lower teeth. Once we determine the causes of your bruxism, we can then prescribe appropriate treatment; such as improving or adjusting your bite; changing the behaviour that causes bruxism; and lastly repairing any damage to your teeth or restorations. If we discover that your bruxism is caused by stress, there are a few strategies we can recommend to help you relax before sleep, such as meditating, listening to music, or exercising. We may also recommend you wear a custom-made protective bite splint while you sleep, to protect your teeth and restorations from being damaged by teeth grinding. If we diagnose other health problems as part of your teeth grinding issue, we may refer you to a medical practitioner or specialist. If we diagnose your bruxism as being stress-related, we may also recommend stress management and counselling to help alleviate the root cause of your problem. There are various symptoms associated with bruxism, which usually reflect the nature of the particular grinding and clenching. If you clench your teeth tightly you may experience tension-related headaches but may have little or no damage to the teeth or jaw joint. 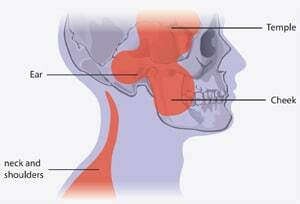 Tight clenching alone puts minimal pressure on the jaw joint. If you grind aggressively you may have damaged teeth and jaw joint problems. In some situations, you may not even realise that you suffer from bruxism, as mild tooth grinding will often display worn teeth surfaces, but no jaw joint pain or teeth sensitivity. What is causing me to grind my teeth? What are my bruxism treatment options?